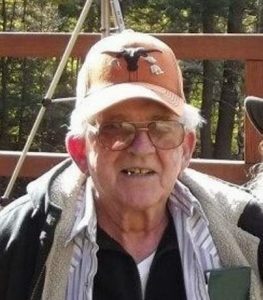 CANTON — Gene L Whiteford, 83, passed away Wednesday night, December 13, 2017 at RiverLedge Nursing Home in Ogdensburg, NY. Gene was born in Russell, NY on October 27, 1934 to parents Louis and Celia (Reed) Whiteford. He grew up as the eldest of three sons. He attended Knox Memorial HS in Russell, NY, class of 1952. He served in the United States Air Force for 20 years as a Law Enforcement Supervisor, retiring as a SSGT in 1973. He also retired from Premium Oil Company as a truck driver. Gene was known for being a kind-hearted man, always willing to help. Gene loved his family and friends that would come and visit, always having refreshments and loving to chat. He loved to read and liked to watch the History channel. He will be greatly missed. Gene is survived by his daughter Deborah (Debbie) Granata, her husband Wayne and grandson Zachary of San Antonio,TX; brother, Paul Whiteford and Donna of Seneca Falls, NY; sister-in-law, Shirley Whiteford of Canton, NY; his favorite nephew, Barry Whiteford and Mary of Canton, NY; his half-sisters, Kathy and husband Steve Jobson of Clay, NY; Karen and husband Rick Enslow of Hermon, NY; Kelly and husband Dana Fulmer of Hermon, NY; his half brother, Karl Whiteford of Canton, NY; step-sister, Judy LaRock-Carr of Albany, NY; step-brothers Jimmy LaRock of Seneca Falls, NY; Jerry LaRock and wife Rogene of Russell, NY; and many nieces, nephews, as well as great, and great-great nieces and nephews. Gene was preceded in death by his father, Louis Whiteford and his wife, Dorothy; his mother, Celia Tousley and her husband Ceylon; and his brother, Charles Whiteford. A special thanks to his wonderful caregiver and fond friend, Rhonda Thompson and her husband Scott of Canton, NY. Another thanks to the wonderful staff at RiverLedge Nursing Home in Ogdensburg, NY, and Hospice & Palliative Care of St. Lawrence Valley for Gene’s attentive care. There will be no public visitation or funeral service. A private Memorial Service will be held in the spring of 2018, as per his wishes. The family is very thankful for all of those who have sent your condolences; we thank you from the bottom of our hearts. In lieu of flowers, donations can be made to the Children’s Cancer Foundation, Inc., 5570 Sterrett Place, Suite 204, Columbia, MD 21044.